Compare Prices From Aventura Limousine Companies and Save Up To 25% On Rentals! Did you know that we are the go-to resource for limousine services in your city? Price4Limo has access to the largest fleet of limousine rentals in the Aventura, FL area including makes and models such as Chrysler, Lincoln, Mercedes, BMW, Ford, & Chevorlet. Most limousine rentals have incredible amenities for your enjoyment. Compare pricing for limos, party buses, charter buses and more from all across the USA! Price4Limo has over 12,000 vehicles in our inventory with photos and prices for you to choose for your transportation needs. Getting a free quote takes less than 30 seconds and no email is required! SPECIAL RENT 9 HOURS GET 2 FREE! This outstanding white Hummer limo service is the best selection for all special events. Hummers are terrific for wedding party transportation, prom, and birthday parties. You will enjoy the limo service in a Hummer since it is comfortable as well as fun for family and friends. 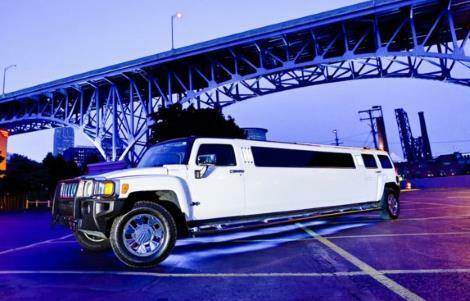 See the discounted rates for this stretch Hummer here! This black Lincoln sedan could be your ride to business conferences, private airports, or any significant affair. Renting a Lincoln town car a better solution than hailing a yellow cab. With a lot of legroom, reading lights, and leather seats, the sedan rental is a great substitute to limousine rentals. Review the hourly rates here! Our Silver Lincoln Towncar should be your transportation to business conferences, major airports, or any important affair. Reserving a chauffeured sedan service a better choice than riding in a taxi. With lots of legroom, reading lamps, and leather seats, the Lincoln Towncar is a great substitute to limousine rentals. Review the pricing today! When you desire the most stunning limousine rental, you should rent the stretch black Escalade SUV. Look at photographs of this well-liked limousine rental. This budget friendly limousine rental is the perfect transportation for anniversary celebrations, kids parties, and as requested for airport drop-off services. View prices for the black Escalade SUV limo service today. Lincoln Limousine features surround sound with CD/AM/FM/DVD player, comfortable seating, bar, and television. White Lincoln stretch limos are exceedingly budget-friendly in your state. This limo has the best interior amenities for entertaining loved ones. Stretch Lincoln limousines could be booked for 21st Birthdays or festivals! Private sedan service is available 365 days a year for businesses. We also have gray limo rentals. View rates here. Hot specials today only! Contact customer service here. We are your go-to livery service for chauffeured transportation. This black Chrysler 300 rental is the vehicle you are hunting for. These inexpensive limousines can be used for Homecoming or birthday parties. Chrysler 300 limousines have updated interiors to ensure you and your friends have pure entertainment. View updated slideshows for this ride. This limo rental has a driver that will drive you around. How much is a limo rental? See rates on our site. Reserve this ride now. The black Chrysler 300 limo is the transportation you have been searching for. These budget friendly limo rentals can be operated for bachelorette parties or funerals. Chrysler 300 limos have updated interior characteristics to ensure you and your guests have lots of fun! View additional slideshows for this ride. This ride includes a expert operator to take you downtown. What is the hourly price for a limo? View prices on our site. Make a reservation today! A sprinter is the most updated ride available for hire with a professional chauffeur. Each ride can have either captain seats or limo style seating. Select the sprinter van that is best for your special occasion. Sprinter Vans are the absolute best ride for airport rides and also bachelorette parties. 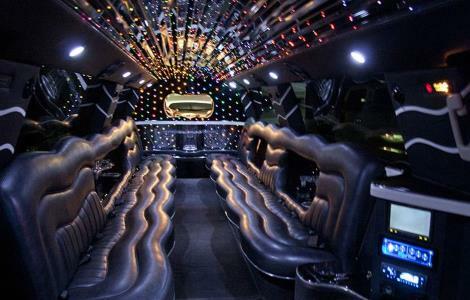 Hire a sprinter limo and get ready to have fun tonight. Get a price for this ride here. 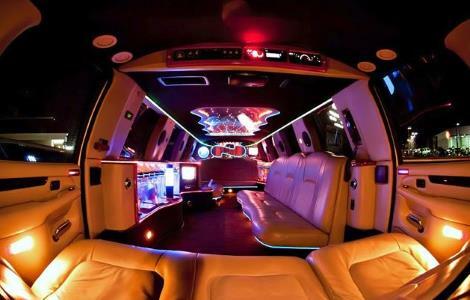 This 15 Passenger Excursion Limousine comes with comfortable seating, bar, television, and AM/FM/CD/DVD player. Book a white Ford limo for your upcoming event, book on our site. We have the affordable prices for limo rentals. If you are searching for a SUV with amazing comforts, the Stretch Excursion limousine is the top ride. Excursion limo rentals are great for sports events and birthdays. Get a quote for this ride now. Our fleet also includes tuxedo style Excursion limos for rent. The white Cadillac Escalade limo is one of the most sensational SUVs! Packed with top of the line amenities to crank up your special occasion. This limousine service is suited for kid's parties, wedding guests, or airport rides. View limousine service hourly costs here. 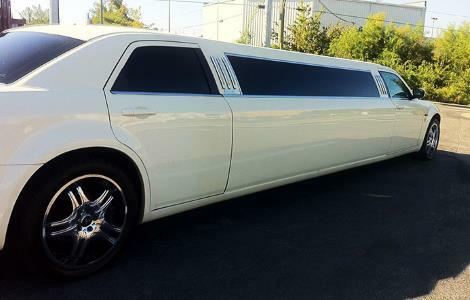 Rent this Cadillac Escalade limousine now! The white Escalade limousine service is one of the most requested rides! Loaded with awesome amenities to set off your celebration. This limo service is ideal for kids parties, weddings, and airport rides. Get limo rental prices online. Make a reservation for this Cadillac Escalade limo service now! 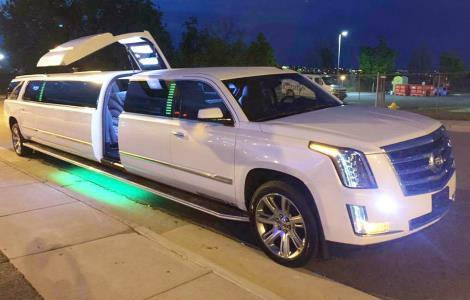 This Cadillac Escalade Limousine features comfortable seating, special lighting, mirrored ceilings, floor lighting, surround sound with CD/AM/FM player, and bar. The white Escalade limousine rental is one of the most sensational suv limos! Equipped with spectacular amenities to kick off your celebration. 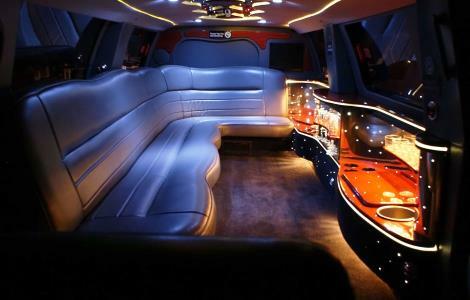 This limo rental is ideal for kid's parties, weddings, or airport transportation. Check out limo service prices online. Rent this Cadillac Escalade limo here. This Escalade Limousine comes with comfortable seating, television, and surround sound with CD/AM/FM/DVD player. Ford 350 White 24 Passenger Party Bus Rentals could be your luxurious transportation service for each and every celebration. Woo your friends and family, or coworkers with cream of the crop features found in this low-cost limobus for hire. Book online and receive cheap pricing! What are the limo bus hourly costs? View all costs online. There could be discounts on overnight limousine bus rentals. Call the reservation department for restrictions. Booking a limobus rental very simple. 25 Passenger Shuttle bus rentals most definitely will be the best automobile for big groups. Say you need to move a corporate client on a field trip, shuttle bus rentals are the top rental. Shuttle bus rentals provide airport services. Almost all shuttles have room for luggage. Our rides are also used for wedding transportation and much more. Hire a shuttle right now. This 25 Passengers Shuttle Bus comes with forward facing seating for all passengers. Shuttle bus rentals most definately will be the go to vehicle for big groups. When you need to transport a corporate client to a new city, shuttles are a perfect choice. Shuttle bus rentals provide airport pick up and drop off service. There is storage for plenty of bags. Our shuttles are also booked for weddings and a whole lot more. Book a shuttle bus rental online. Ford 550 White 25 Passenger Party Bus Rentals should be your best shuttle service for every affair. 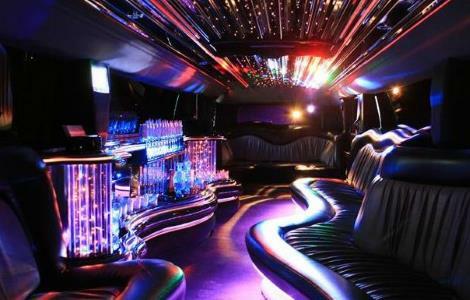 Satisfy your loved ones, or colleagues with top of the line amenities found in this low cost limo bus rental. Book online to get the best sales price. How much are Ford 550 Party Bus rental hourly costs? View all costs here. There could possibly be coupons available for weekday partybus reservations. Call the reservation department for restrictions. Making a reservation for a limo bus is easy as pie. 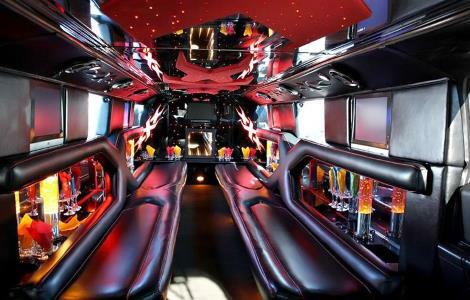 This Ford 550 Party Bus rental should be your go-to shuttle service for any occasion. Treat your friends and family, or colleagues with the best features found inside this affordably priced Ford 550 Party Bus for rent. Book online to receive cheap prices! How much are partybus hourly prices? View all costs right here. There could be deals on daily partybus rentals. Call the reservation team for additional details. Getting a limo bus very easy. A 32 Passenger shuttle will be the best automobile for mid-sized groups. If you need to take classmates to a new city, shuttle bus rentals are the ideal selection. Shuttle style rentals provide airport pick-up & drop-off services. Almost all shuttles have storage for everyone's luggage. Our bus rentals are also hired for bachelorette parties and much more. Reserve a shuttle today. A 36 Passenger shuttle most definately will be the go to vehicle for huge groups. If you need to transport a sports team to a new city, shuttle bus rentals are an ideal vehicle. In addition, bus rentals provide airport pick-up & drop-off services. There is space for your bags. This ride is also booked for bachelorette parties and many more events. Reserve a shuttle today. This International Black 36 Passenger shuttle bus most certainly will be the go to transportation for large groups. When you need to transport a fraternatiy to a new city, shuttle buses are the top rental. Shuttle style rentals provide airport pick up and drop off service. There is storage for everyone's luggage. This ride is also hired for weddings and many more important events. Rent shuttle buses today. 42 Passenger Shuttle bus rentals can be the go to ride for medium sized groups. Say you need to transport a sorority to a new city, shuttle bus rentals are the top choice. Shuttle buses provide airport transportation. There is room for luggage. This ride is also booked for holiday parties and a whole lot more. Book a shuttle bus rental for this weekend. A 56 Passenger coach bus is the leading way for transporting gigantic groups of people. From musicians to executive transportation, this charter bus rental is sure to provide an enjoyable tour. A motorcoach could be reserved for long tours as well as nightlong transportation. These stunning buses can also be booked for winery tours. Make a reservation online to see the best rates. Contact customer service team to get hourly rates! The white Escalade limo service is one of the most popular suv limos! Loaded with awesome amenities to jump start your special occasion. This limousine is ideal for kids parties, wedding parties, or airport transportation. Get limo service availability here. Reserve this Cadillac Escalade limo service now! Aventura limo service provides a fleet of vehicles for hire on our website Price 4 Limo. Make a reservation for any of our limousine rentals within seconds for your occasion. Our limo services in Aventura can provide transportation for a wedding, airport transfer, anniversary, bachelor party, birthday, and many more. Our luxury chauffeur service provides transportation services to any location in Dade County, FL. Aventura limousine fleet has luxury vehicles to help you celebrate with your group any occasion and feel like celebrities for an evening. With our limo service in Aventura you can enjoy the ride as we take you to a sporting event, corporate event, beach, or cruise just to name a few. Limo service in Aventura, Florida is available for reservation on our website. Check out all of our limousines on our photo gallery to help make the decision a lot easier for you when you are out on the town with your friends and family. Aventura limo service will have you celebrating like a wedding, bachelor party, birthday, or bar crawling just to name a few. When you reserve one of our Aventura limos through our website you can select from a one way trip, three hour reservation, or a ten hour rental. Aventura limousine service provides you with on time arrival to your location no matter where it may be in Dade County. Aventura limousine service has a variety of limos to choose from on our website. Reserve an Aventura Zebra Hummer Limo and celebrate a bachelor party, wedding, bar crawling, night on the town, prom, and much more. With our Hummer Limo you can count on the ladies checking this vehicle out and even making the reservation for it as they celebrate a night on the town, bachelorette party, birthday, divorce party, sweet sixteen, or quinceanera. When you reserve any of our Hummer vehicles ride with 14 to 22 passengers as we get you to your destination. Another popular vehicle with the ladies is the Pink Chrysler 300 Limousine. When riding in the Pink Chrysler 300 Limo sit back and watch the television and the surround sound system available inside our 10 to 12 passenger vehicle. Ride in our White Excursion limo rental that sits up to 20 passengers and can compete with the Hummer vehicles with size and interior space. Get inside and watch a local program or DVD on the large 42" TV screen. Our White Excursion has a multitude of screens located around the vehicle making it easy for everyone to see things that are being displayed on the large monitor. Aventura Limo Service picks you up and takes you to any location around Dade County, Florida. Make plans to head out to Hard Rock Hotel and Casino in Hollywood, FL and try and make some extra cash. Celebrate a wedding or special occasion with your friends and family on a trip to Sunny Isles Beach, Bal Harbor, or the Liberal Arts Theater. Reserving any of our Aventura limo services is easy and we can take you to some of the most popular hot spots around such as Justin's Bar and Lounge, Sweet Dreams, Stingerz Nightclub, and drive you to South Beach as well. Arrive in an Escalade limo rental that sits around 10-12 passengers and party like a celebrity from the moment you make it to the club. Ride in our Navigator Limo and sit up to 16 passengers inside our vehicle with leather interior seating and surround sound system. Whether you are celebrating a birthday, wedding, anniversary, birthday, sweet sixteen, and more. Our Rolls Royce that sits up to 10 passengers will have you riding like a very important person the moment you step foot into the vehicle. All of our Aventura limousines will help you arrive in style to some of the most popular beaches around such as Sunny Isles Beach, Bal Harbour, Surfside, North Bay Village, and much more. 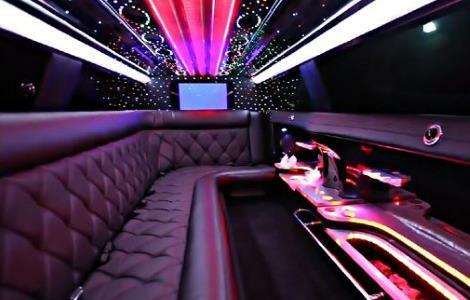 Ride in our Lincoln Stretch and Cadillac limousine or Sprinter bus that sit up to 10 passengers and make plans to head out to American Airlines Arena to check out the Heat or we can take you to check out a home game of the Hurricanes and Dolphins in one of our limousines. Party the night away in South Beach and Ocean Boulevard as you we are your designated affiliate company drivers for the evening. Aventura limo service provides you with multiple airport limos serving destinations around Dade County, FL. Whether you are departing from MIA or the nearby Opa-Locka Airport we have you covered. If you are catching a flight at Ft Lauderdale-Hollywood Airport we will jump on Interstate 95 and get you there on time for your departure. With our on-time pick up service you can count on us to get you to the airport on time so you can catch your flight and make the gate after standing in line for an hour. Have us pick you up upon your arrival and make it a surprise for your friends or family as they get to ride in style in one of our limousines. Have us to provide you with transportation so you can enjoy your vacation in style as you are about to port your cruise ship and head out to the Atlantic Ocean. Our limo companies provide you with a fleet of vehicles to select from on Price for Limo where you can reserve any of our limousines on our website. Get a quote in a few seconds and choose the right vehicle for hire for your occasion. Celebrate with your friends and family a wedding, night on the town, birthday, corporate event, anniversary, divorce party, port departure, airport transfer, bachelor party, and more. Aventura limo rental will have you riding comfortable in one of our vehicles for hire as you celebrate any event with your friends and family.